Chelsea 4-0 Hull City: Willian leads Chelsea first-half rout ahead of Barcelona on Tuesday. 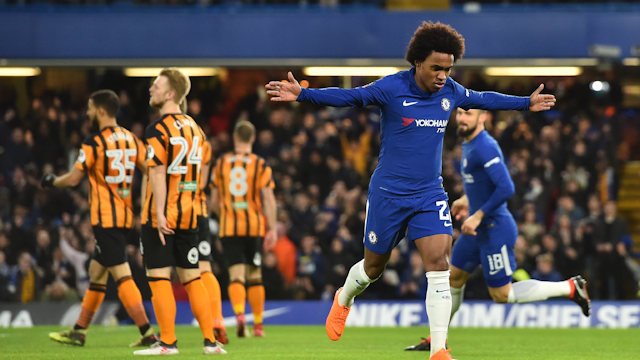 Chelsea beat Hull City with four first-half goals from Willian (2), Pedro and the first goal of his Chelsea career for Olivier Giroud. Chelsea started the game with plenty of changes from the side that faced West Brom on Monday night. We started with Willy Caballero in goal, a back three of Gary Cahill, Ethan Ampadu and Toni Rudiger. Our midfield two on the night were Danny Drinkwater and Cesc Fabregas with Emerson Palmieri making his debut as our left wing-back and Davide Zappacosta on the right. In attack Olivier Giroud led the line with Pedro and Willian supporting him. It was a game that we had to approach in the right way, we had to continue to build our confidence from the victory over West Brom with a good result and performance against Hull City. 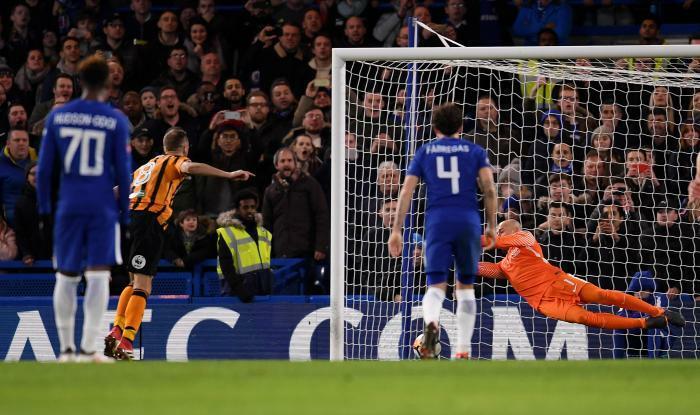 Chelsea delivered on both fronts and blew a depleted Hull side away in the first half with four goals and for one or two of our players, sent Antonio Conte a timely reminder of what they are capable of ahead of the Champions League clash against Barcelona. 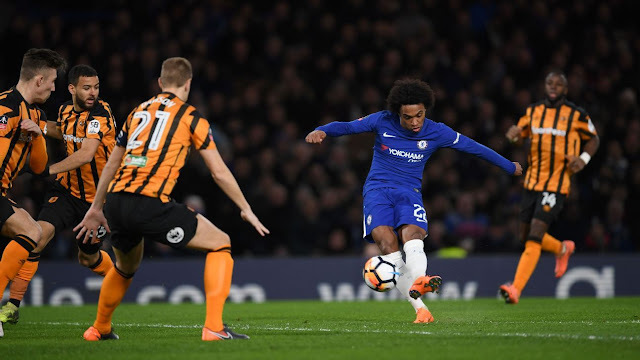 It took just two minutes for Willian to break the deadlock with fantastic skill to move the ball from his right side, under pressure by the way, to his left side a curl an 20-yard shot into the far corner giving the goalkeeper no chance. Our second goal of the game was another example of why Olivier Giroud works for Chelsea and the fact that you should never give Cesc Fabregas space on the ball. The ball is played up to Giroud who holds off the defender and knocks the ball inside, first time to Cesc Fabregas. 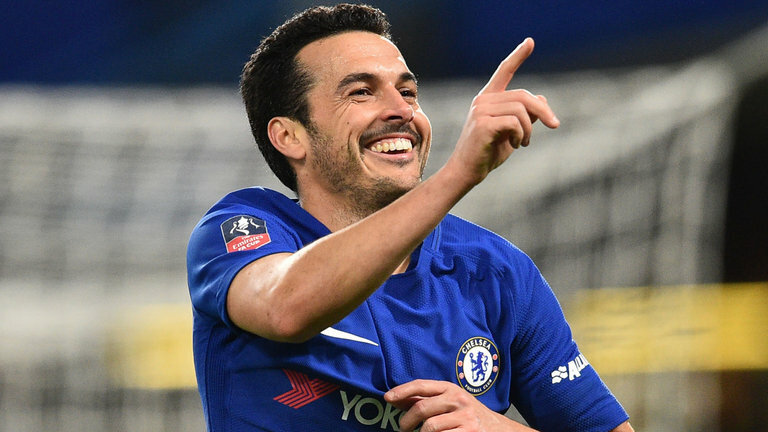 The man with the magic hat spots Pedro making a run in behind and lofts a ball over the top right on the money which is taken down in his stride by Pedro and slotted first time passed the goalkeeper to make it 2-0. Our third was another sublime finish from Willian who used another assist from Olivier Giroud who has made a good start to life at Stamford Bridge. The ball is played up to the big Frenchman up top, he lays the ball into the path of Willian who from 22 yards, curls his shot right-footed into the right-hand corner and goes in off the post to make it 3-0 and game over. 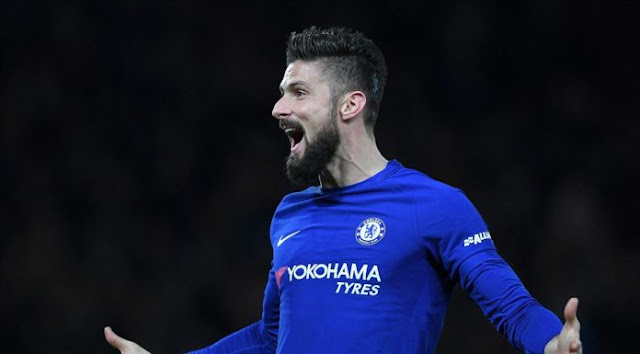 The icing on Chelsea’s cake was a well-deserved goal for Giroud with the added bonus of an assist from Emerson Palmieri. The Brazilian-born Italian danced his way through a challenge on our left-hand side to get to the byline, spotted Giroud at the near post and drilled the ball low into his feet for the Frenchman to slot home from three yards to make it 4-0 at half-time. It really was a fantastic first-half display and a perfect night for Antonio Conte to rest one or two. The second half played out like a training game if we are honest with the game being won in that fantastic half but, you have to say that to their credit, and to a man it has to be said, Hull came out fighting despite their starting eleven being ravaged by ineligible players and injuries. They really had a good and got themselves into some good positions as Chelsea took their foot off the gas. Don’t get me wrong, we always looked dangerous going forward, but so did Hull and fair play to them. They should have scored a penalty when Cesc Fabregas gave a clear penalty away but Willy Caballero stood firm and made an impressive save – not for the first time this season. 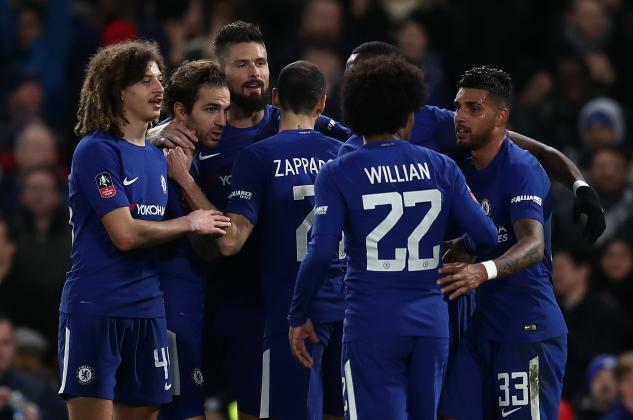 But for Willian striking the post late in the game to deny him his hat-trick, the involvement of Hudson-Odoi, Scott and Alvaro Morata, that’s all she wrote as the saying goes about the second half. Chelsea really put on a display for the manager, themselves and the supporters tonight and the likes of Willian, Giroud and Rudiger, they have given the manager a real selection headache for Tuesday night with Willian being right at the forefront without question.